So you’ve moved to Indonesia and are all set to adapt and start anew in a country that feels so unfamiliar until you realize that there’s one major problem: you don’t understand their language. Although most Indonesians can speak conversational English and it is the language often used in business, tourism and academics, learning their dialect is important to help you communicate more effectively with the locals. The effort you put into learning Bahasa Indonesia will be highly appreciated by locals and could be very helpful when it comes to building personal and professional relationships with them. 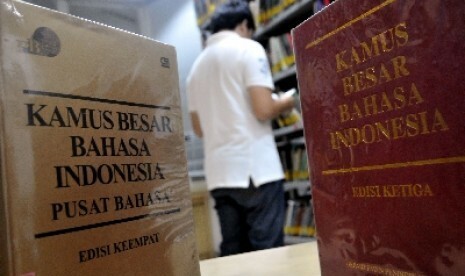 Bahasa Indonesia is the national language of the archipelago, and trying to learn the basics can seem daunting. But with so many resources available for free, you don’t have to worry about spending tons of money in order to practice speaking their dialect. The Internet is a treasure trove of resources. With a little patience and diligence, you can find suitable online courses to sign up for. However, since it’s free, most of their materials are only limited as you have to pay a certain amount to have access to a premium course. But this is a good way to start learning the most common phrases and greetings. Some of them even have lessons that are presented step-by-step. Learning Indonesian has a free audio lesson that teaches the basics. You can also learn by answering a fun exam prepared by Babbel. With a single click on your PC, tons of materials are readily available for you to print or download. There are websites that teach basic Bahasa Indonesia and also provide these resources. That way, you can repeatedly practice studying wherever and whenever even if you don’t have access to the Internet. There are several apps where you can learn and study while on the go. This app in particular guarantees that you’ll be able to speak Bahasa Indonesia within 24 hours. Learning Indonesian also has an app where you can take up to 20 lessons for free in an audio format. So whether you’re commuting on your way to work or busy doing household chores, you’ll still be able to multitask. Ever since the advent of this video-sharing platform, never has it been easier to access tutorials on any kind of topic. There are several channels that teach the basics through a fun and easy video lesson. Plus, you can download these videos and watch them again anytime. Learn Indonesian with IndonesianPod101.com is a channel that you can subscribe to with various videos categorised into greetings, simple introductions, numbers and common phrases among many others. Buying a new one can be expensive so if you have expat friends who own any of these resources, ask them to lend them to you. Or you can visit the local library and inquire if they have these materials available. Instead of paying a private tutor to teach you, why not have people you know give you free lessons instead? In return, you can teach them the basic and most common phrases of your foreign language too. Any language is easier to recall when it’s often used or applied. You have to be actively speaking Bahasa Indonesia if you want to be fluent in it. Meet up with other expats and create a group where you can constantly share what you have learned. Have an Indonesian friend or two join as well so they can assess your progress. Not only is this set up fun, you’ll also get to learn while bonding with friends at the same time. Frequent exposure to the language helps you recall faster. It’s like how kids who enjoy watching Japanese anime sooner or later become fluent in it. Start with a movie or TV show incorporated into your learning routine. While watching, don’t be too dependent on the subtitles. Try remembering what each word or phrase means and slowly branch out to learning sentences. Regularly listening to songs in their dialect and looking up their translation also helps.